In simple terms, organic products are grown without the use of pesticides, synthetic fertilizers, sewage sludge, genetically modified organisms, or ionizing radiation. 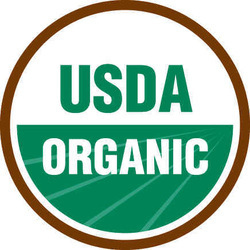 1 – Organic food is healthier & safer. 2 – Organic food contains more nutrients. 3 – Organic food is GMO free. 4 – Organic food tastes better. 5 – Organic farming works in harmony with nature. 6 – Organic farming is better for the soil. 7 - Organic farming can feed more people. 8 – Certified organic food means no toxic chemicals. 9 – Organic farming is climate-friendly. 10 – Organic food reduces health risks.